Finally! A reliable home security camera that gives you full room coverage. This Panoramic Camera is a 1.3 mega-pixel security camera with night vision. 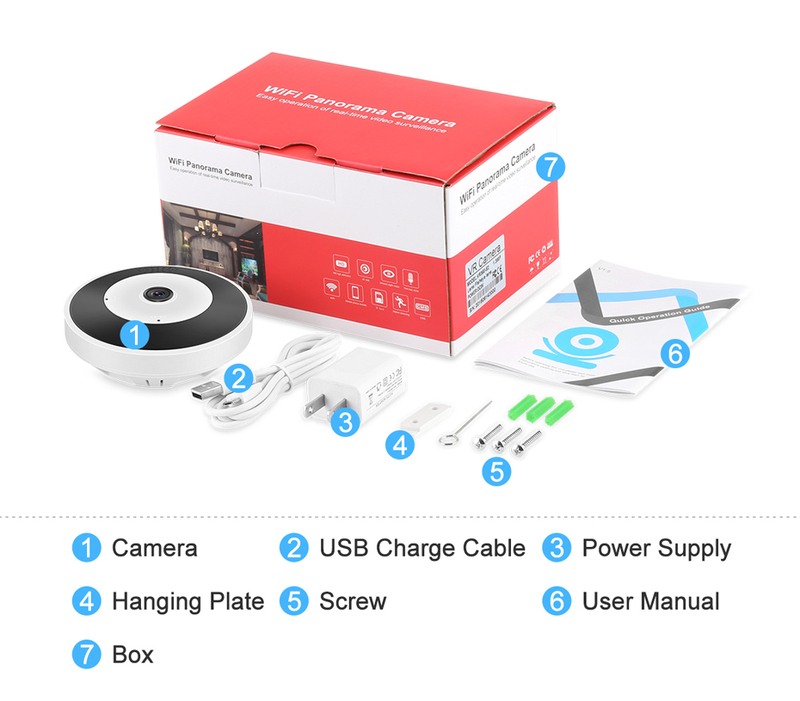 This product has multiple functions that will help you in monitoring the safety of your baby, watching the dog, looking at the office, or monitoring the car. Capture the entire room with responsive this one-touch pan and tilt controls and digital zoom. The Unique panoramic touch navigation takes a 360° picture of the room, and allows you to view live video at the angle you want by a simple tap. 960P image quality makes your eyes more comfortable to view the image clearly via your smart phone. 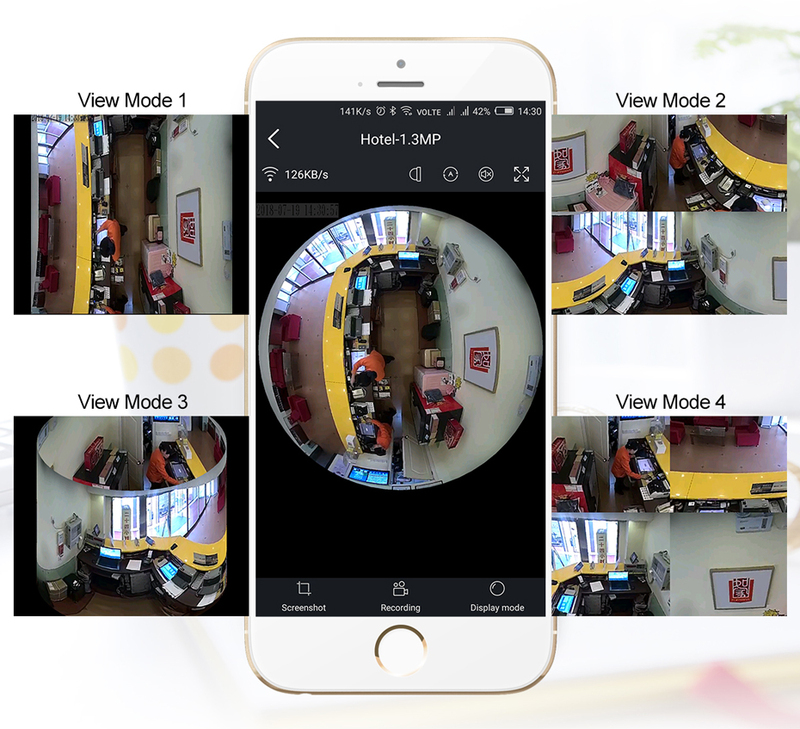 This Smart Panoramic Camera gives you multiple viewing options, allowing you to monitor any angle you want in the room easily. Has a fisheye view function giving you full coverage of a room. Communicate with families and your pets freely by two-way audio. A built-in microphone and speaker make it easy for you to communicate with your loved ones anywhere you are. Receive real-time notifications whenever motion is detected. Providing accurate motion detection and sending alarm alert to smart phone when anything out of ordinary is detected. The camera is equipped with powerful infrared lights for illumination up to 10ft (depending on the environment), enough to cover just about any room, and switches from day to night mode automatically. You can connect your cameras to multiple devices or computer 24/7 anywhere. Local backup supports up to 64GB TF card(not included).